Jennifer's 365 Project: 3137/365 - Boo! 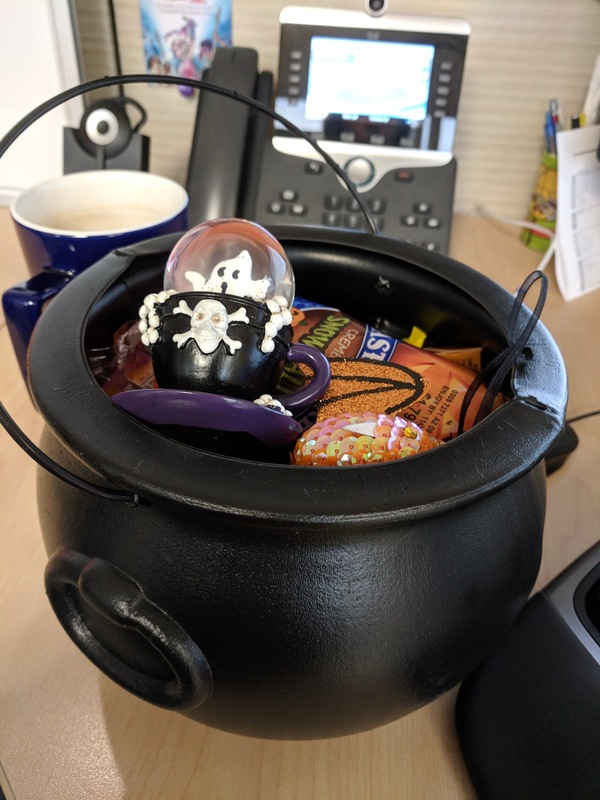 My new employer does a lot of fun things, including a Halloween treat exchange. This was what I received - a cauldron of candy and trinkets. Its been awhile since I've worked somewhere that lets you have this kind of holiday fun so I'm really enjoying all of the Halloween happenings.